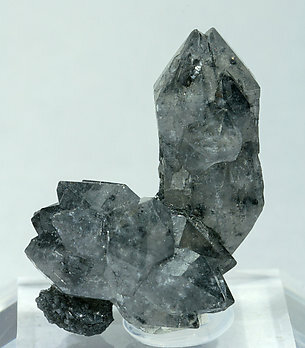 Transparent Quartz crystal with a very sharp phantom, its back side partially coated by Dolomite and by Cassiterite microcrystals, with Arsenopyrite and a group of very sharp and bright Chalcopyrite crystals. 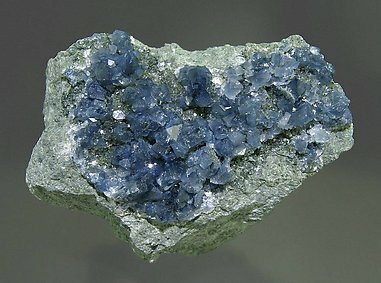 From the Jan Buma collection, and a rarity for Yaogangxian in that there is no Fluorite on the specimen! 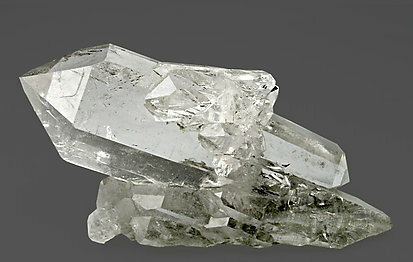 Twinned, doubly terminated crystal. 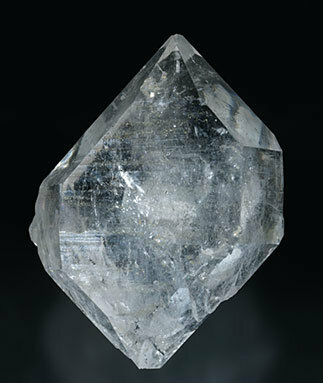 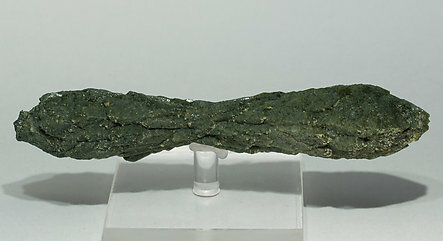 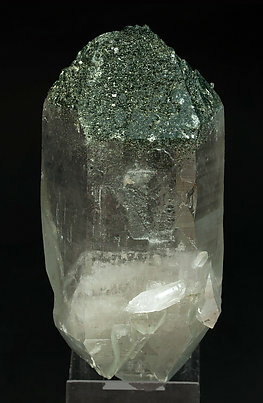 The twin is very visible, an unusual thing for Quartz, because the suture crosses the front face of the prism and the opposite position of the accessory rhombohedron faces. 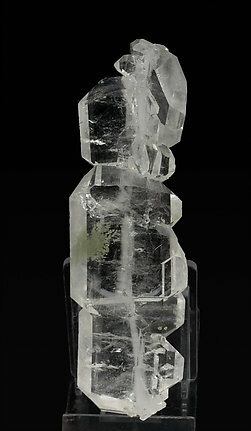 Complete floater crystal, flattened, transparent, very bright and with very visible inclusions. 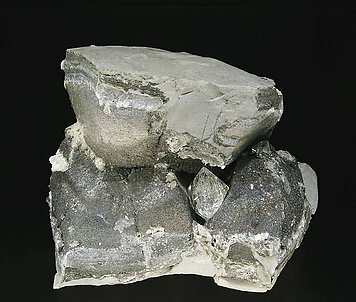 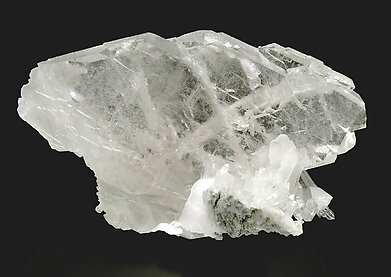 It has a thicker shape than usual for the floater Quartz crystals from the locality. 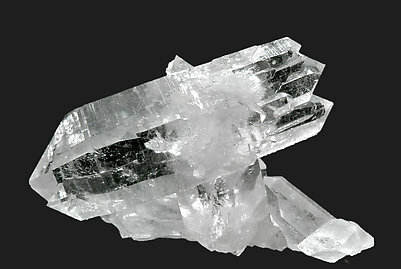 A floater group of doubly terminated crystals with parallel growths. 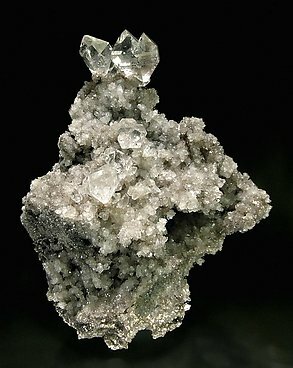 From the original label we deduce it was mined, more or less, around 1980. 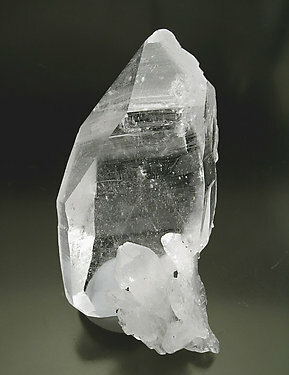 A very transparent doubly terminated quartz crystal. 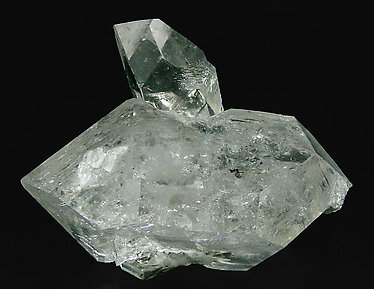 Parallel growth of two prismatic, doubly-terminated crystals. 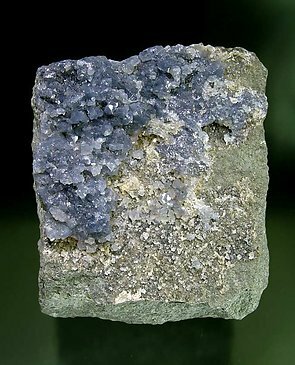 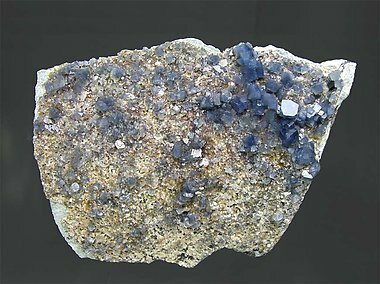 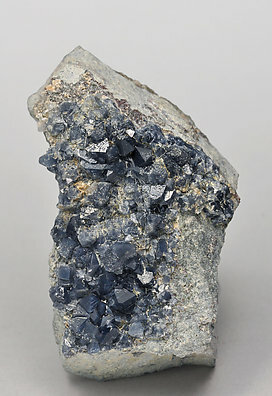 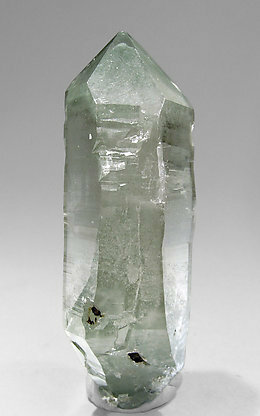 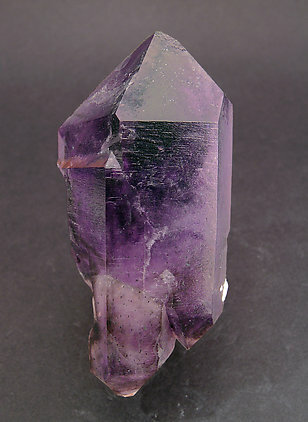 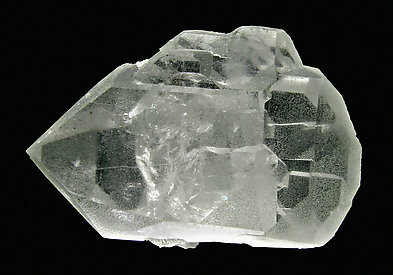 They are well developed, of an intense color and simple forms, growing as a scepter on a little matrix of white Quartz. 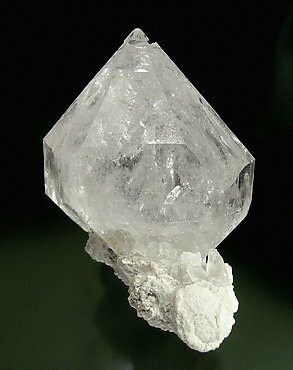 The crystal is doubly terminated and has the short prism typical of the locality. 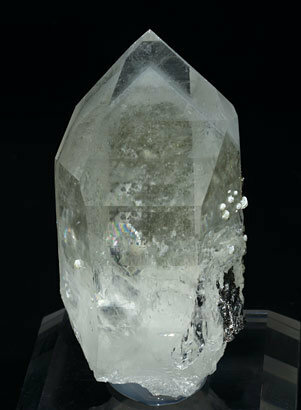 It is transparent and bright and has attractive inclusions of hydrocarbons and the beginning of “windows” on some of its terminal faces. 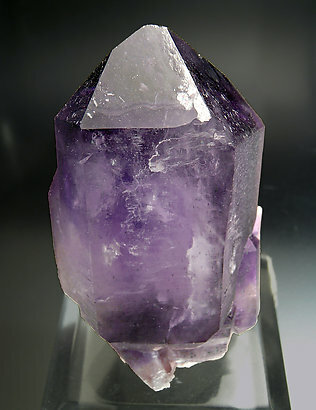 We call attention on the position of the crystal on the matrix that enhances the esthetics of the specimen as well as increases its value because specimens of Quartz with matrix are pretty unusual in Berbes. 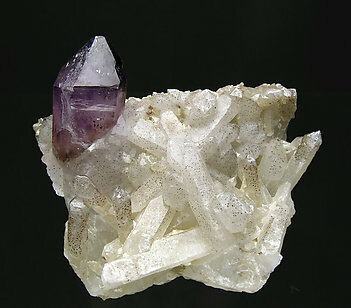 Floater and complete crystal with two very different terminations. 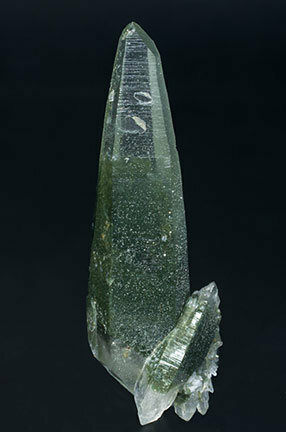 One of them has simple forms and it is completely coated by chlorite, while the opposite is free of coatings and shows a parallel polycrystalline growth. 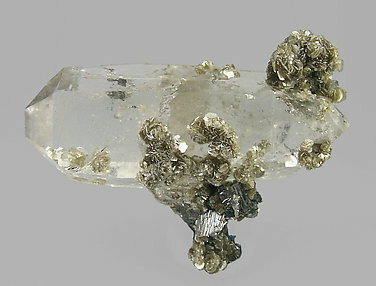 Floater aggregate of Quartz crystals, one of them clearly dominant and all them doubly terminated, very rich in Chlorite inclusions and with completely transparent and colorless terminations.